our true one stop shop for all your Off-road & vehicle customization. We offer the best in class installations and Products in the market for Vehicle Performance, Exterior and Interiors including car audio/video, Marine and Powersport accessories. We specialize in hi-end car audio, custom fabrication, all side by side audio and accessories, as well as lifts and off road wheels and suspension. We can handle any job anytime Monday through Saturday. 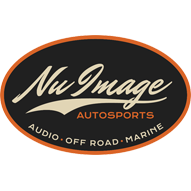 If you want your vehicles to look and perform at it’s peak, let the experts at NU IMAGE AUTOSPORTs hook up your ride!